Scientists are continuously discovering and sharing more information about the brain than ever before, including the fact that it needs exercise and stimulation as much as the body that houses it. It makes sense to keep our brain in top shape as we age. Here are eight reminders to help people do just that. While some people keep a "bucket list" of the things they want to do before they die, everyone should have a "brain list" of the things they want to learn. Continuously challenging your brain to learn new things will keep it agile and sharp. And the best part is that new skills and information go a long way toward keeping people interesting and interested. Most people know that getting the right amount of sleep is essential for good health. People trying to solve difficult problems or struggling to develop a creative solution often find that a good night's sleep is the key to finding the answer. During sleep, the brain continues to work, making sense of the events of the day and finding patterns in order to categorize them. In short, sleeping gives the brain time to process what people learn each day and categorize it into patterns they already understand. Brain enhancing foods are actually body enhancing foods. A diet rich in vegetables, fruits, proteins, and water, keeps people's bodies healthy and since the brain is part of the body, it stands to reason that what keeps the body healthy will keep the brain healthy. Just remember that what makes people's bodies sluggish will make their brain sluggish. It's not rocket science. 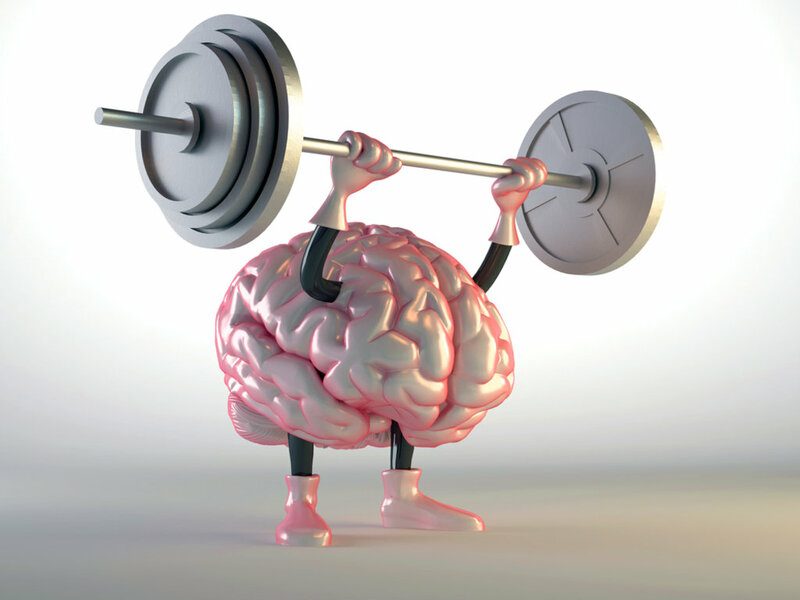 Exercise is good for the body and; therefore, good for the brain. But make sure the exercise is physical enough that a good sweat ensues. Sweating rids the body of toxins and given the amount of toxins in the environment, a good sweat each day goes a long way toward keeping people and their brains healthy. Let's be blunt. Anyone who has had too much to drink knows that alcohol impairs brain function and if that is the case, it must be harming the brain in some way. Alcohol doesn't actually destroy brain cells, it damages the dendrites--the branched end of nerve cells that bring messages into the cells. While the damage can be reversible (the brain is able to repair itself) over time, it can cause the brain to work differently, to slow communications to, from, and within cells. Bottom line - alcohol should be viewed as a once in a while treat, not as a daily necessity. Say No to DrugsAll things in moderation, as the saying goes, except when it comes to drugs and cigarettes. Basically, drugs are going to do the same type of damage as alcohol, but the damage might be more intense, severe, and long-lasting. Depending on the drug of choice, it might even be permanent. For people who value their brains and their bodies, drugs are definitely taboo. There is something rejuvenating about getting out and meeting new people. Perhaps it's the different conversation tracks. Maybe it's the process of seeing new faces and remembering new names. Meeting and talking to new people stimulates the brain in different ways and it's not bad for the social life either. Bottom line - reading is active; watching tv is passive. TV watching tends to make people more sluggish and uninterested in the world around them. Reading has the opposite effect--giving people time to pause, reflect, think, as well as use their intellect and emotion. Sir Richard Steele said, "Reading is to the mind what exercise is to the body." Overall, reading makes the brain active and even helps people develop a longer attention span. Something to keep in mind for children as well as adults. It's not difficult for people to keep their brain healthy as they age. All it requires is a little common sense and intentional effort: sleep well, eat the right things, keep learning, exercise, limit alcohol, don't bother with drugs, be social, and read. While no one knows what the future holds, keeping a healthy brain is something that can be achieved well into old age.